California Chief Justice Tani Cantil-Sakauye wears many hats. In addition to her role as the state’s top jurist, she serves as Chair of the Judicial Council and Chair of the Commission on Judicial Appointments. In the latter role, she announced this week that the Commission has confirmed three of Gov. Jerry Brown’s appointments to the California Court of Appeal. So who are the newly-elevated judges? Judge Adrienne M. Grover, Judge Rosendo Peña, Jr., and James M. Humes. Let's discuss where they are coming from and where they will go. Judge Grover -- previously of the Superior Court of Monterey County -- will serve as Associate Justice for the Sixth Appellate District in San Jose. She is filling a vacancy created by Associate Justice Wendy Clark Duffy's retirement. Humes -- who has been working as the Executive Secretary for legal affairs, administration, and policy in the governor's office -- will move to a new gig as Associate Justice of the First Appellate District, Division Four in San Francisco. He's filling the vacancy left by Justice Patricia K. Sepulveda's retirement. Judge Rosendo Peña, Jr. will be moving from Superior Court of Fresno County to the Fifth Appellate District in Fresno. He will fill the vacancy created by Associate Justice Betty L. Dawson's retirement. 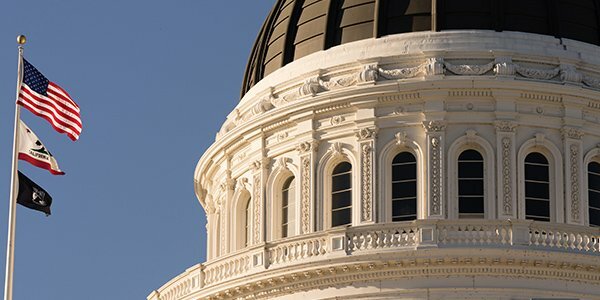 All three of the appointments were approved by a unanimous vote at public hearings held at the California Supreme Court. Though the newly-confirmed appointees are probably eager to get their justice on, they'll have fewer opportunities to do so in the coming weeks. California courts will be closed for the holidays on Tuesday, December 25, and Tuesday, January 1.